Both Brose Baskets Bamberg and Lokomotiv Kuban Krasnodar have lofty goals after playing in the Turkish Airlines Euroleague just last season. Lokomotiv seeks its third Eurocup Quarterfinals appearance in four years, while Bamberg hunts its first ever. Lokomotiv Kuban Krasnodar has already set a Eurocup record for most consecutive games won (17) and most won to start a season (16). And it will continue to add on to each record with each successive win. 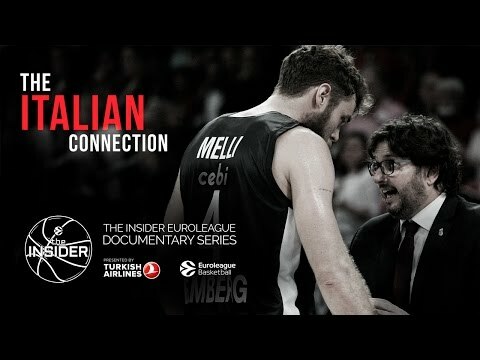 That streak dates back to the 2013 Eurocup Championship Games. Among several keys in building such a winning tradition has been keeping its key players. 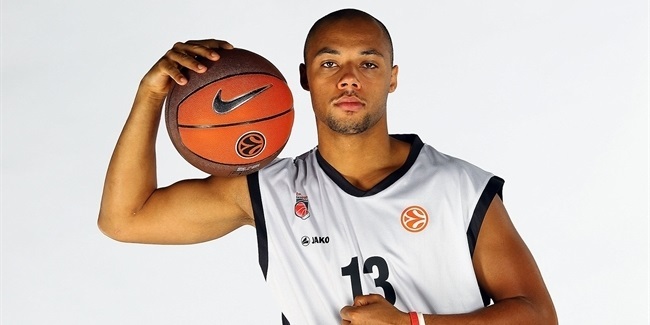 Among the six Lokomotiv men still with the squad from the 2013 title are the 2013 Eurocup Final MVP, Richard Hendrix, and 2013 All-Eurocup Second Team forward, Derrick Brown. And when the time came to add new faces, Lokomotiv found winners again, such as 2013 All-Eurocup First Team guard Malcolm Delaney and Olympic medalist Eugeny Voronov. A winning tradition is always hard to beat. Bamberg playmaker Brad Wanamaker and Lokomotiv big guy Anthony Randolph were not only among the top players in the Last 32, but each posted better numbers against tougher competition. Wanamaker increased his performance index rating from 17.9 in the regular season to 20.5 in the Last 32. Randolph went from 15.6 to 21.6. He had two double doubles in five Last 32 games compared to one in 10 regular season games. They weren’t the only players to pick their games up from the regular season to the Last 32. Wanamaker’s backcourt mate Ryan Thompson improved his scoring from 9 points to 13.7 points per game, with his three-point accuracy going from 29.7% to 44.8%. And Lokomotiv swingman Krunoslav Simon took his regular season index rating of 12.5 up to 16.3 in the Last 32. Who will continue to raise their play in the eighthfinals? Will Mbakwe meet his match? Brose Baskets Bamberg big man Trevor Mbakwe is among the best rebounders in all of European basketball, so it’s no surprise that he is second in the Eurocup in rebounder on both a per-game (8.3 rpg.) and per-minute (13.9 rpg. prorated over 40 minutes) basis. However this series presents a tough challenge with Richard Hendrix and Anthony Randolph combining to giving him a 40-minute battle on the boards. It is worth noting that Bamberg is 7-2 in Eurocup games this season in which it has outrebounded its opponent. One way Lokomotiv has been able to dismantle opponents is by overwhelming them with its excellent reserves. 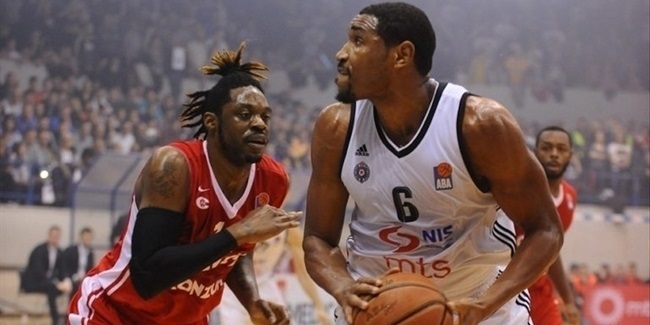 Krunoslav Simon is an elite sixth man, while Richard Hendrix is a dominant figure inside. Bamberg has an entire second unit that can rise to the occasion and become difference makers. Dawan Robinson joined the team during the Last 32 and teams with Janis Strelnieks to give Bamberg head coach Andrea Trinchieri two capable ball distributors and scoring threats behind or alongside Brad Wanamaker. Forwards Elias Harris and Daniel Theis are terrific athletes and Trevos Mbakwe is a top-notch rebounder. When you play Bamberg, you will be tested by its depth. Though this will be Lokomotiv’s first ever meeting with Bamberg, it has played fix other German clubs a total of 10 times over the past decade. Lokomotiv has won five of the last six and is 7-3 overall against teams that hail from Germany. Lokomotiv point guard Malcolm Delaney knows German basketball and Bamberg well; he led FC Bayern Munich to the German championship last season. 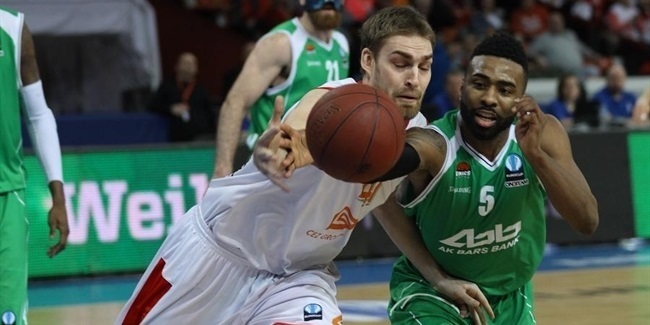 Bamberg has not fared well against Russian clubs with just one win against nine defeats. However it must be noted that eight of those losses came against might CSKA Moscow. Guard Janis Strelnieks has a background in Russian basketball; he spent two seasons with Spartak St. Petersburg – the first of which he reached the Eurocup Finals and the second of which he played alongside current Lokomotiv forward Nikita Kurbanov. Lokomotiv Kuban Krasnodar has added firepower for the upcoming 7DAYS EuroCup season with the addition of forward Kevin Jones on a one-plus-one contract.